Mark your calendars. The 2019 Summit will be held on Friday, October 18, 2019. Since 1993, thousands of educators in colleges and universities from across the country and globe have participated in this interdisciplinary conference to share results from Scholarship of Teaching and Learning (SoTL) projects and to discuss innovative teaching techniques. The Summit offers concurrent sessions on individual and collaborative SoTL projects, cutting-edge issues in pedagogy, and student learning in a relaxed, congenial atmosphere. There are also opportunities for participants to network with fellow educators. Participants report that they have learned many new ideas they were able to bring back to campus, and that they have been energized by interacting with a collegial community of educators invested in excellent teaching practices. We invite you to submit proposals for posters and/or interactive presentations. Submit Your proposal today. Lauren Scharff is the inaugural Director for the Scholarship of Teaching and Learning Program and a Professor in the Department of Behavioral Sciences and Leadership at the United States Air Force Academy (USAFA). In her 9 years as SoTL Director she has helped mentor and / or been co-investigator for over 80 SoTL projects. Prior to working at USAFA, she was a Professor in the Department of Psychology and Director of the Teaching Excellence Center at Stephen F. Austin State University (SFASU), where she worked since 1993. She completed her Ph.D. in Human Experimental Psychology (Visual Perception) from the University of Texas at Austin. She has won several teaching and advising awards, including the Psi Chi Florence L. Denmark National Faculty Advisor Award. Her current research focuses on a variety of topics within SoTL, including metacognition, application of the science of learning, self-assessment, and development of critical thinking and respect for human dignity. Dr. Scharff is a past president of the Southwestern Psychological Association and is currently serving as the United States Regional Vice President for the International Society for the Scholarship of Teaching and Learning. 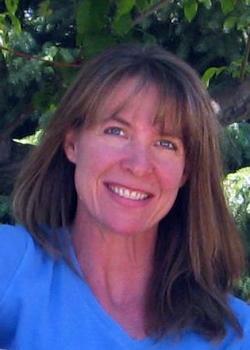 She is co-creator of the award-winning Improve with Metacognition website.